You might have noticed our signal failure to fulfil our promise to provide lots of Sense and Sensibility-related content ‘across the month’. Don’t worry, there is a lot of it brewing but I’m midway through re-reading the novel in preparation (after all, it’s hard to comment on an adaptation without a good sense of the original in mind). I’ve already been surprised by the insistence on Edward’s unprepossessing appearance: ‘he was not handsome’, says Austen decidedly. 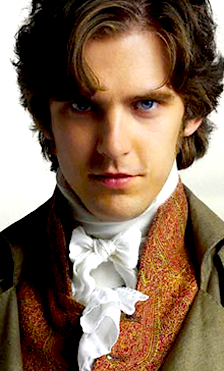 So much for the lovely Dan Stevens (and the also-quite-lovely-although-badly-suited-to-period-costume Hugh Grant). I suppose it’s one of those Jane Eyre-type instances of us not really being happy to accept an ugly (or even a ‘plain’) leading character. I was on the lookout for physical descriptions of Edward not only because of innate romantic-hero-related lustiness but also because Helen and I spent a post-deadline afternoon last week watching the seven-part 1981 BBC adaptation. (Seven parts makes it sound longer than it is: it actually runs about the same length as the three-part 2008 version.) 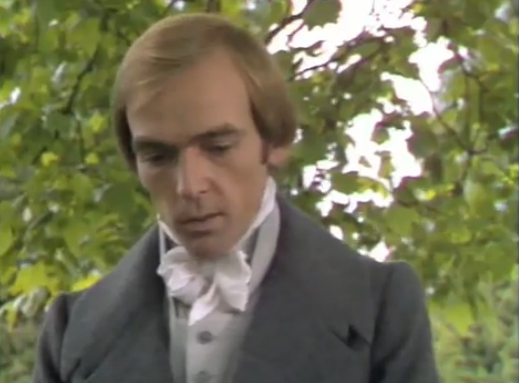 You’ll hear more about it in our upcoming posts, but amongst its rather dubious charms are an Edward who’s somewhat more cognisant with Austen’s description (although the actor who plays him does rejoice in the excellent name of Bosco Hogan). It also includes a notably awesome Lucy-and-Edward’s-engagement-revealed scene (always a favourite) and an Elinor who never changes her facial expression. More clips to come, but to kick you off here is the faintly surreal opening sequence. Never has metaphor been more subtle.